As I suggested earlier in previous article, the online marketing scene has changed significantly over the last couple of years, primarily because of what is known as Web 2.0. Web 2.0 is not a product or a marketing system as such. On the contrary, it is more to do with attitude and the way that people now approach and use the net. When the net was still in its ‘Web 1.0’ phase (the predecessor), it was all about websites which provided you with information. There was little interactivity or ability to network with other people through the net apart from at the most basic level. Web 2.0 however is all about the internet becoming a socially interactive tool, a resource through which you can network with people all over the world, chat with them and generally interact. This evolution (or revolution) from Web 1.0 to 2.0 has significantly impacted the world of online marketing as well. Nowadays for example, it is widely recognized that if you build close relationships through the internet with other users, then when you have a product or service to recommend, you do not need to sell the concept to the people with whom you already have connections or friendships. You simply tell them what you have done leaving them to make the decision of whether they want to look at what you have to offer and subsequently invest money in it. 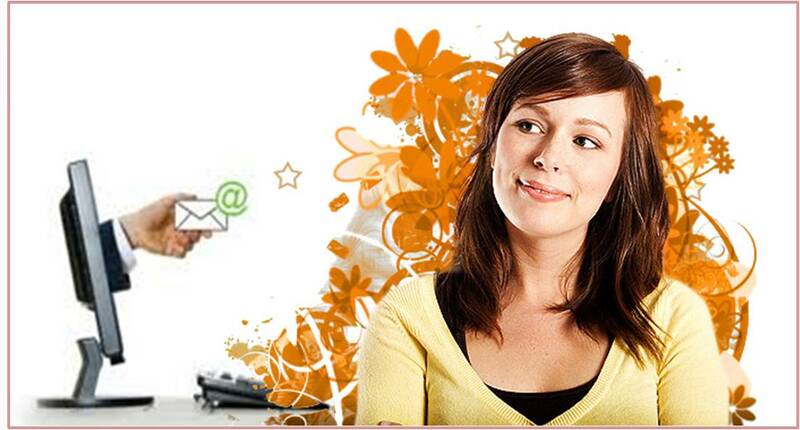 This has brought about a significant change in the way you should be using e-mail marketing as well. Whereas there are still thousands of marketers who pump out promotional message after promotional message after promotional message, smarter marketers are moving away from this approach to encompass a more ‘Web 2.0-style’approach. The essence of Web 2.0 is that it is all about building relationships and interactivity with fellow net users.You do not build relationships with people by doing nothing other than trying to sell them something every time you send them an e-mail message. This is not to say that you should not try to sell your products and services to anyone on your mailing list. After all, the whole purpose of building your list is to give yourself as many chances of selling to new prospects as possible. Nevertheless, the e-mail marketing scene has shifted significantly over the past year or so, and if therefore you are still doing what you were doing 12 months ago, you’re making it very unlikely that you will enjoy the kind of success you want to enjoy. Let us therefore begin to consider how to be a success with e-mail marketing in the Web 2.0 era by looking at some of the things that I see happening with incoming mail from other marketers every day,things that you want to avoid doing like you want to avoid the Black Death! • Do not be tempted to send an e-mail that is nothing more than a promotional message every time you write to your list member. Do this only once or twice and they will stop opening your mail. • Do not use a promotional approach that anyone with half a brain cell to call their own could see through. The ‘I’ve just discovered this fantastic new product that I know you will love…’ approach will not work. You do not know the prospect, therefore you have no idea whether what you are recommending is what they are looking for or not. • Don’t shout at your prospect in your headline. Most of them are not imbeciles and they do not need shouting at in your attempt to convince them to do what you want them to do. • Please, please, please do not use prewritten e-mail sales messages that you have downloaded from the affiliate area attached to the product which you are promoting. Do this, and it is almost guaranteed that your prospect is going to receive at least four or five identical e-mails all of which pretend to be hyper enthusiastic about the product concerned. Result? They never want to buy anything from you, ever! • Do not be tempted to ‘bandwagon jump’. When the latest megaproduct is launched, do not join the 20 other marketers each of whom decides to send an e-mail to their prospect to recommend the product and offer a fantastic bonus to encourage them to buy through their link. Why on earth would the prospect buy from you in these circumstances? After all, they could sign up as an affiliate for the product themselves and buy it using their own link. • Try to be consistent. Do not recommend a different product every time you send a promotional message. On the contrary, find four or five products that you really believe in and send eight or ten emails in a continual series telling your prospect why they should buy each, one product after the other. If they choose not to buy first product, move on to the second after the first 10 e-mails recommending the first have elicited no response. Then, promote the third product with 10 e-mails, the fourth product with 10 emails,and then go back to the very beginning with the very first product. The chances are that your prospect will have a vague recollection that they have seen this product somewhere before, so they might not remember that you promoted it but the product is at least partially presold. To expand upon this last point, when someone signs up for your mailing list from a site where you are selling a product or service, this is the product or service that you should promote to them from the beginning. Although it is likely that they subscribed to your list to get the free gifts on offer rather than to receive additional information about your product, continuing to promote the same thing helps to establish your consistency. In this respect, for consistency, read professionalism because a professional has faith in the product or service they are recommending and sincerely believe that it will benefit the customer to whom they are promoting it. If you constantly chop and change, jumping from one product to another, the indication is clearly that you have little faith in the product you are promoting and that your approach to running a business is singularly unprofessional. Consequently, I cannot over emphasize the importance of consistency and professionalism enough. Always promote every individual product with which you are working at least 10 times, if possible by including a primary benefit of that product in each outgoing e-mail messages you send. E-mail marketing in the age of Web 2.0 is all about building relationships with your prospects and then continuing that process when some of those prospects choose to become customers. Now more than ever before, the secret of running a successful online business is to realize that even when they are dealing with other individuals using the most impersonal medium imaginable (i.e. the internet), people still want to deal with people. Perhaps more importantly, people are at their happiest when they are dealing with someone who they like and respect, far more than they would be dealing with someone who was evidently distant and self-interested. This is where the marketer who is promoting, promoting, and promoting again will come unstuck. Just this simple, single fact indicates that they are entirely self-interested and self-absorbed which makes it extremely unlikely that their list members are ever likely to warm to or respect them. Of course, whilst this is extremely bad news for them, it should represent extremely good news to you because it gives you a significant competitive advantage. If you can see where other people are going wrong – and to be honest, it would not take a genius in this particular example – it becomes considerably easier to avoid making the same mistakes yourself. Let’s consider some of the things that you should be doing to build relationships with your list members whilst also building your business. The most fundamental truth about e-mail marketing is that the primary objective of every outgoing message you send should be to get the recipient to open it. If your subscribers open the messages that you sent, it is e-mail marketing, whereas if they don’t, it is a complete waste of time. The first trap to avoid falling into is, try not to be boring! This applies to all of the content of every e-mail that you send out but especially the title headline. As suggested earlier, one of the advantages of using Aweber or GetResponse is that you can test how your subscribers are reacting to your e-mails, and this is a resource that you should use to the full. For example, if your e-mails are not getting opened, it is a fairly clear indication that you might be boring. Also, try prefacing the headline of your e-mail message with your name.With their inbox possibly stuffed full of spam e-mails, adding your name to the title headline gives a clear indication of who it is from, which might encourage them to open it. As part of your relationship building efforts, and also in the interests of providing some variety to your subscribers, I would recommend that you have three different types of e-mail message that you sent to them. Firstly, there would be the messages that are already preloaded into your autoresponder account.Secondly, you should include some messages of a type that I call ‘my real world’ and thirdly, you should have a regular newsletter. Let’s consider each of these different types of e-mail in turn. The format of each of these standard messages that you send out should be a relatively fixed thing. Remembering the importance of consistency, this will enable your subscriber to recognize your style immediately. In this particular type of message, you need to include valuable information about your subject or topic. Given that these messages will be loaded to you autoresponder once and then left to be sent out automatically, you cannot include time sensitive or ‘latest news’ type of information in these messages. Hence, you should use the information section of each of your preloaded messages to educate your prospects or bring them valuable information on a relatively general level. For example, if you were mailing to tropical fish enthusiasts, you might include information about the best way of cleaning tanks, the most effective filters or the foodstuffs that particular breeds of tropical fish prefer. All of these things are relatively fixed and unlikely to change a great deal, so you can add them to mail messages that will go out in three or six months with relative impunity. However, in every outgoing information e-mail, you must include a product suggestion or recommendation from day one. This should not be a hard sell and if possible, it is best if the product promotion or recommendation can somehow be woven into the fabric of the rest of the e-mail. If not, a brief ‘I recommend that you should take a look at this’ at the appropriate point will suffice. Nevertheless, it is important to start promoting products or services from the very beginning, and not to wait until the fifth or sixth outgoing message until you start including a promotional message. This is a mistake that many new e-mail marketers make which is likely to seriously damage their business. If your prospect receives the first five or six information only e-mails before you mention a product that you recommend, then that prospect has already assumed that all of your mail will be information only. Consequently, they will completely ignore the promotional message or they will unsubscribe from your list because they are somehow shocked that you have the audacity to promote a product to them. You have to make your prospect understand from the very beginning that you are running a business, not a charity shop, and that you are going to promote products and services to them. Sometimes, this will encourage a prospect to unsubscribe from your mailing list almost immediately, but rather than being upset about this or scared of it happening, you should view this as a positive. After all, if something as inoffensive as a product recommendation upsets them,you can be fairly certain that they were never going to buy anything from you in any event. A mistake that many marketers make is that they are so focused on their business that they forget they have a real life. However, telling your prospects and customers what is happening in your real life is the easiest and quickest way of building a relationship with them. By doing so, you establish that you are a real, three-dimensional person, rather than being some dull, boring individual who thinks about nothing other than making money. Trying to establish a relationship is all about doing whatever you can to get your prospects to like you and think of you as a friend. But imagine how boring it would be if your friends only ever talked to you about work or business. This is exactly the same. Give your prospects and customers a glimpse of your real life, what you do in your spare time, your family, your friends, your hobbies interests and the like because doing so is the quickest way of allowing them to get to know (and like) the real you. When you go to a fantastic music event, send a mail to your prospects and customers telling them about it. Similarly, tell them about the sports that you enjoy participating in or your hobbies. Do not on the other hand only ever tell them about the fantastic internet marketing conference that you went to or the seminar where Mr. Big in your industry was the guest speaker. It might be relatively interesting, but it is not the real you that is talking to them – you’re talking business and therefore it is the business you who is communicating with them about conferences and seminars. Let your prospects know that you have a real life in exactly the same way as they do, and when you have difficulties, don’t be scared of letting your prospects and customers know. By doing so, you become a real person, someone they can like and empathize with. These ‘real life’ e-mail messages should go out to your prospects and customers whenever you have something of genuine interest to talk to them about. Thus, there is no regular set pattern for how often you should send them out but once a week (in addition to two or three regular e-mails on a weekly basis) is perfectly adequate. Do this veryregularly, and you can be fairly certain that your prospects and customers will never go anywhere else to do business, because by doing so, they would be letting a friend down. Send out a regular newsletter every week or every month, and use it to keep your list members abreast of all the latest news and developments in your marketplace. You can also include some highlights from your ‘real life’ e-mails,advertising materials from other marketers in your sector or niche and of course, more product recommendations. For instance, if there has been a mega-launch of a product that seems to offer genuine value,you already know that I would caution against ‘bandwagon jumping’. However, drawing the product or service to the attention of your prospects or customers in your newsletter is perfectly acceptable, because by doing so, you can provide them with a reasonably objective review which might help them to make up their mind whether the product is for them or not. I know that this might appear self-evident, but it is going to be far easier for you to provide your prospects and customers with exactly what they need if you know what it is that they need. Consequently, I make a point of sending a brief checkbox questionnaire or survey to my list members every three to six months, asking them the kind of questions that enable me to establish that I am providing products and/or information that they want. Doing this serves a multitude of purposes, apart from the obvious one of establishing what your list members want. Firstly, as you acquire additional list members, the ‘group dynamics’ of the people on your list gradually change. Asking what they want on a regular basis keeps you abreast of these dynamics which help you to be more responsive to their needs. Secondly, remember how earlier in this report I suggested that ‘the money is in the list’ does not tell the full story as a descriptive of why you should build a mailing list? This is because the money is not in the list – it is in a responsive list. You can have half a million people on your mailing list, and if they are not responsive, then you’re not going to generate a great deal of business, whereas a list of 5000 people all of whom are responsive will generate considerably more money for you. Using questionnaires or surveys allows you to establish exactly who are your most responsive list members. Depending upon how important the information from your survey is, you can do several different things to gauge the responsiveness of individual members. For example, if you simply send out a questionnaire and ask people to answer it, then only the most responsive of your list members will do so. If however you introduce a small free gift, then you will increase the response rate but a proportion of the people who are responding are only doing so because of the gift. The more valuable the gift is, the more true this becomes. Another thing you can do with surveys is ask your list members if there is anything about the way you run your business that they are not particularly keen on, or anything that could be improved. Perhaps surprisingly, you often get quite a reasonable degree of feedback from this approach because whilst your list members may not feel too comfortable simply coming straight out to criticize you, if you ask them for their honest opinion, it becomes far easier for them to tell you exactly what they think. Thus, using simple questionnaires in this way enables you to improve your business in yet another different way. This entry was posted in Internet Marketing and tagged e-mail marketing, marketing system, online marketing, promotional message, send emails, socially interactive tool, Web 2.0. Bookmark the permalink. Follow any comments here with the RSS feed for this post. Post a comment or leave a trackback: Trackback URL.